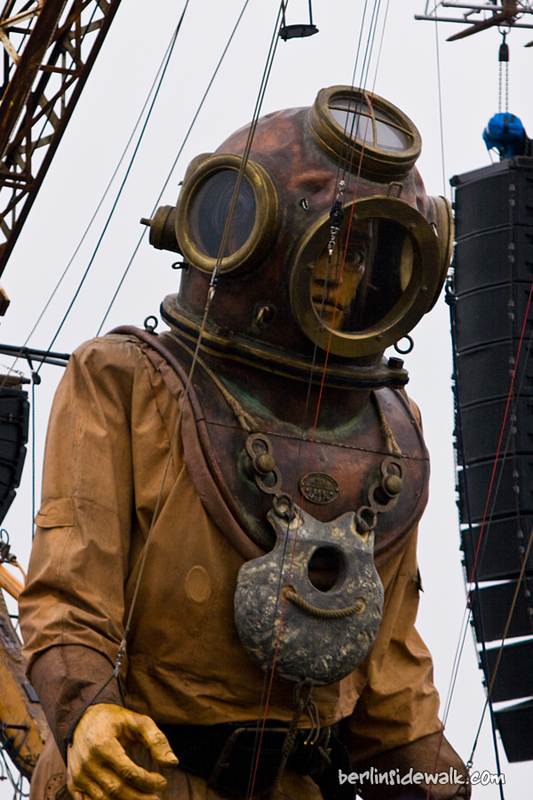 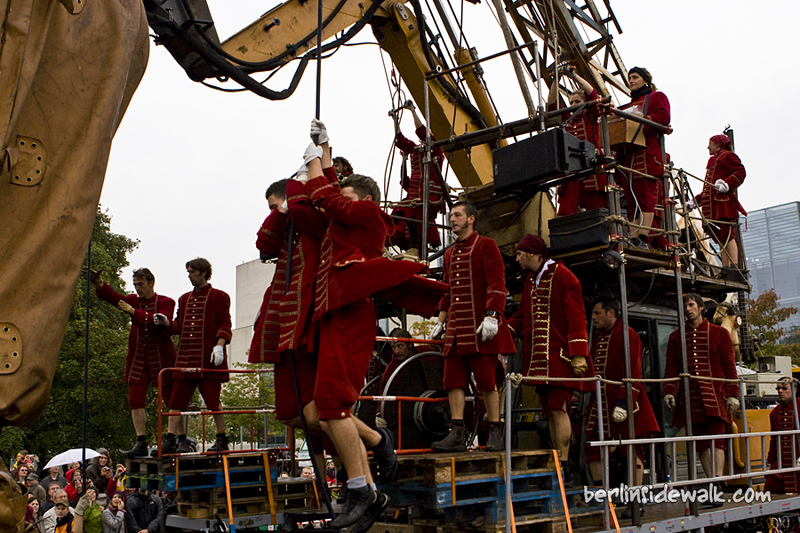 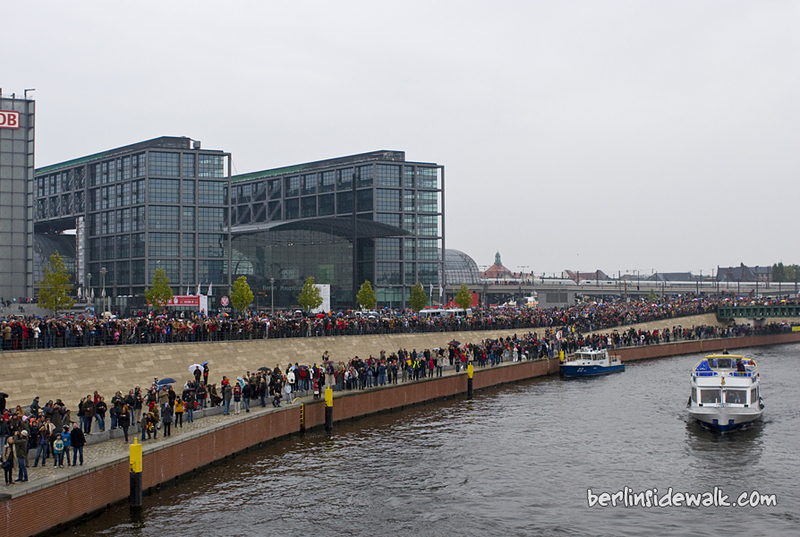 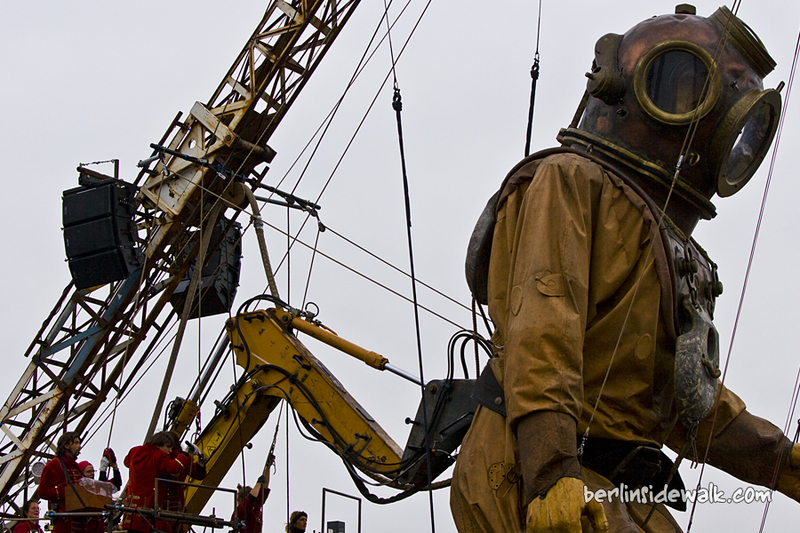 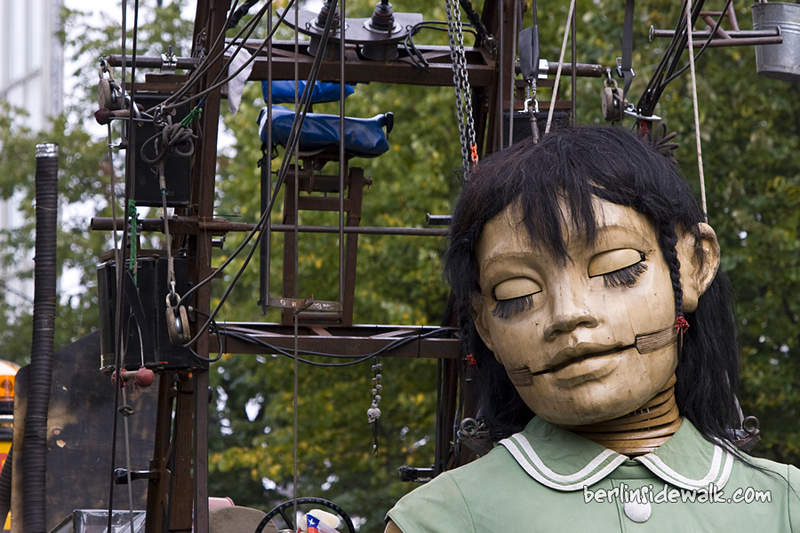 Today on Reunification Day in Berlin, the Deep Sea Diver appeared out of the Humboldtbecken near the Hauptbahnhof. 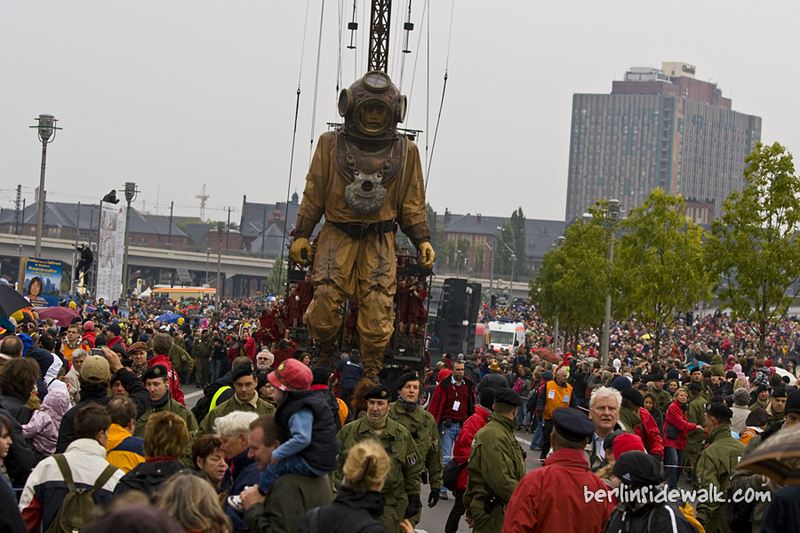 Surrounded by enthusiastic spectators, this deep sea diver dripping with water has set off across the Moltke Bridge and through the government quarter in search of his niece. 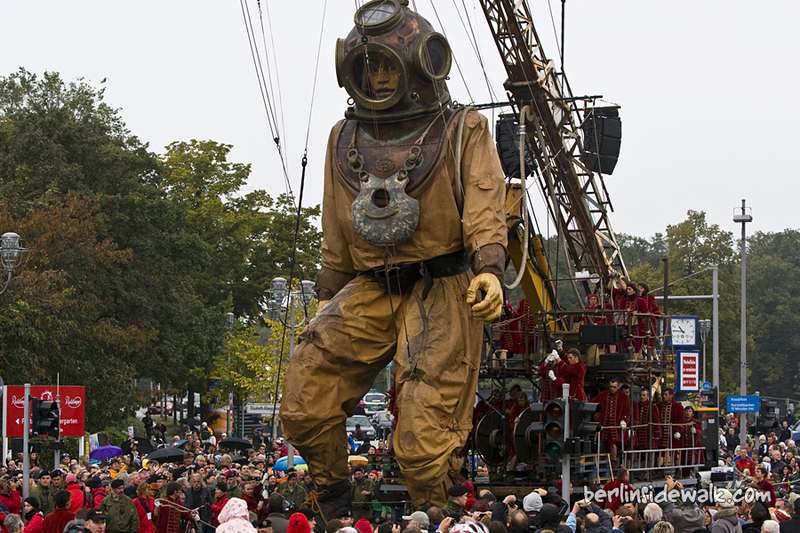 Uncle and niece are searching each other, walking though the western and eastern part of Berlin. 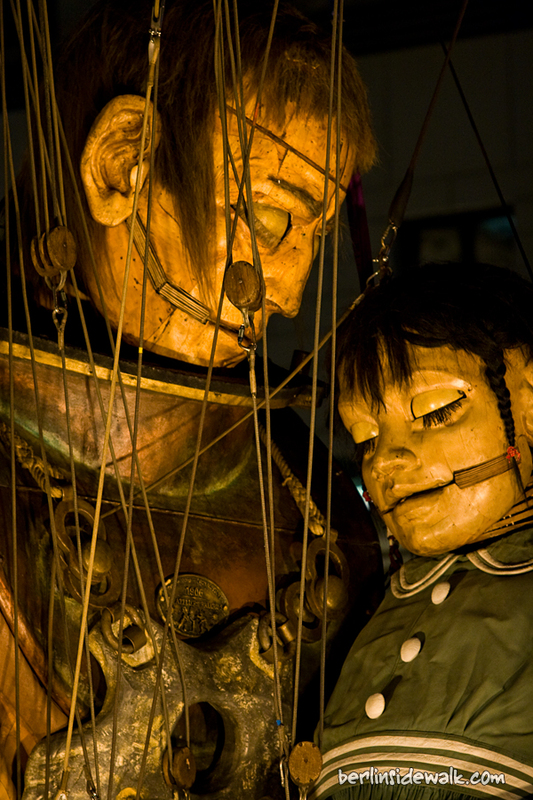 They got separated many years ago and maybe, they will find each other today. 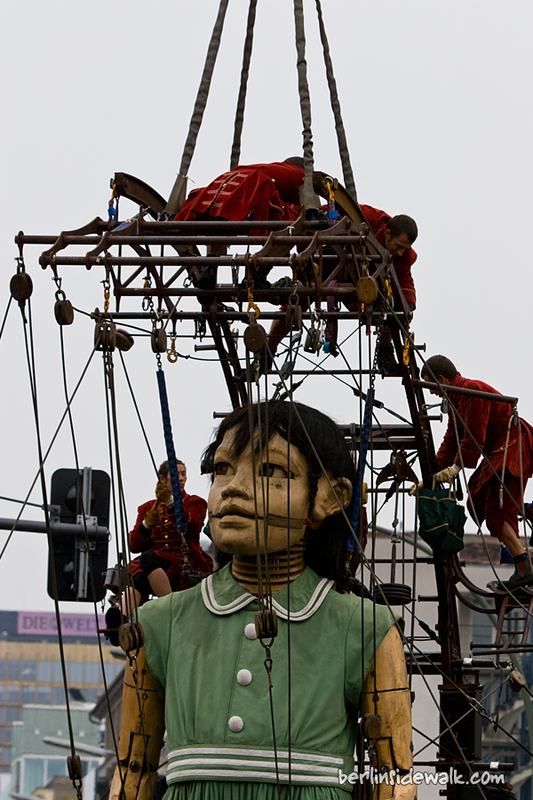 The Little Giantess has strolled down the Friedrichstraße towards Checkpoint Charlie just like a proper Berlin tourist and then walked over to Potsdamer Platz. 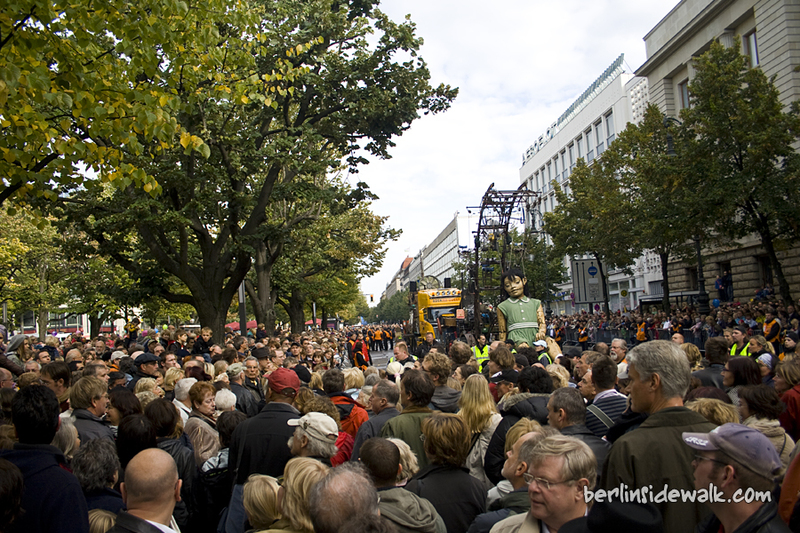 Together with her ocean-going boat she has now returned to Unter den Linden. 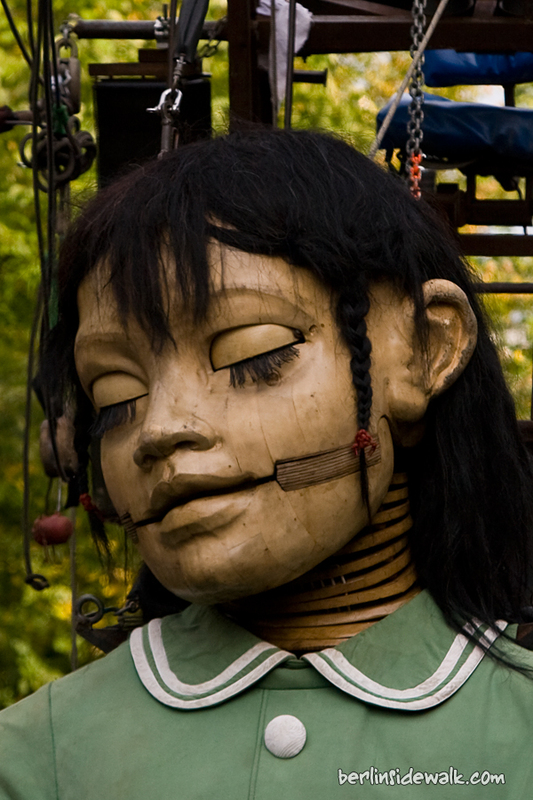 Unknown to her, she is now having her short siesta only 200 metres away from her uncle as the crow flies. 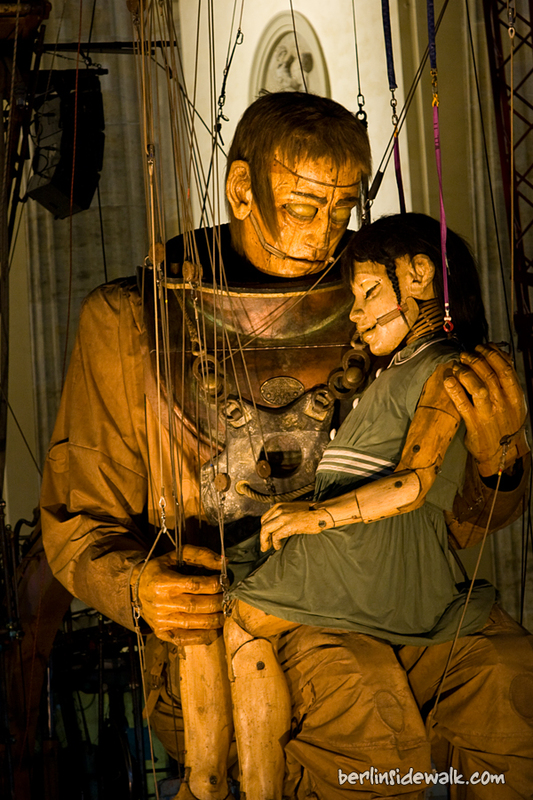 Uncle and niece are finally reunited! 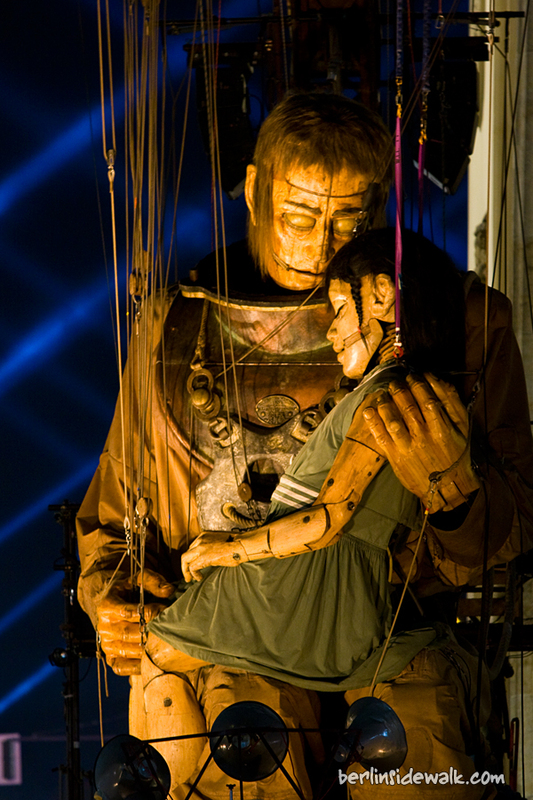 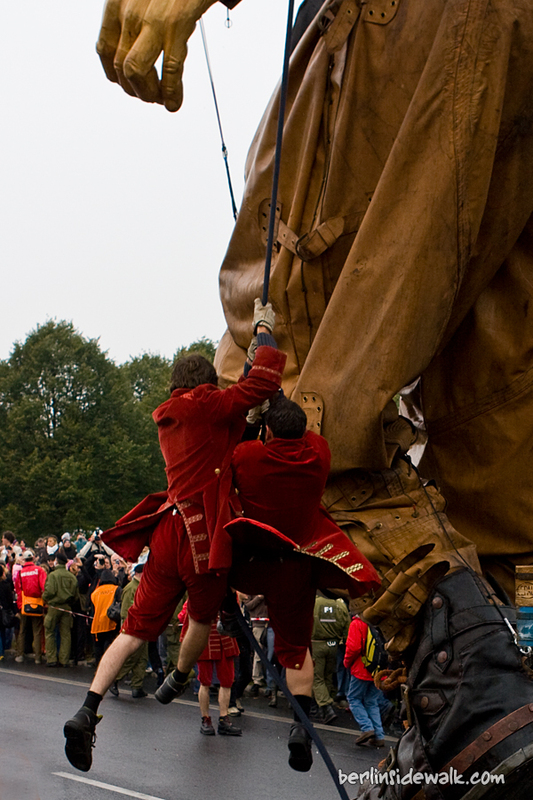 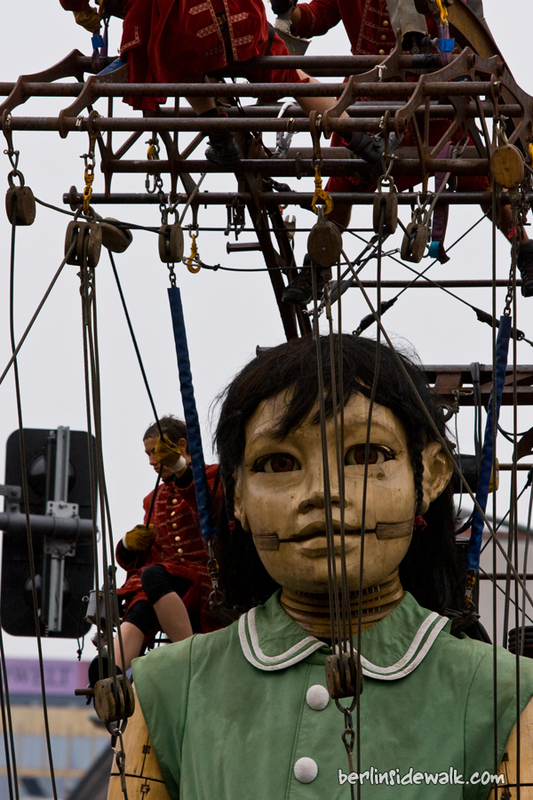 The little girl GIANT practically flew across the Brandenburg Gate and into the arms of her uncle, who had travelled so far by land and sea to find his niece. 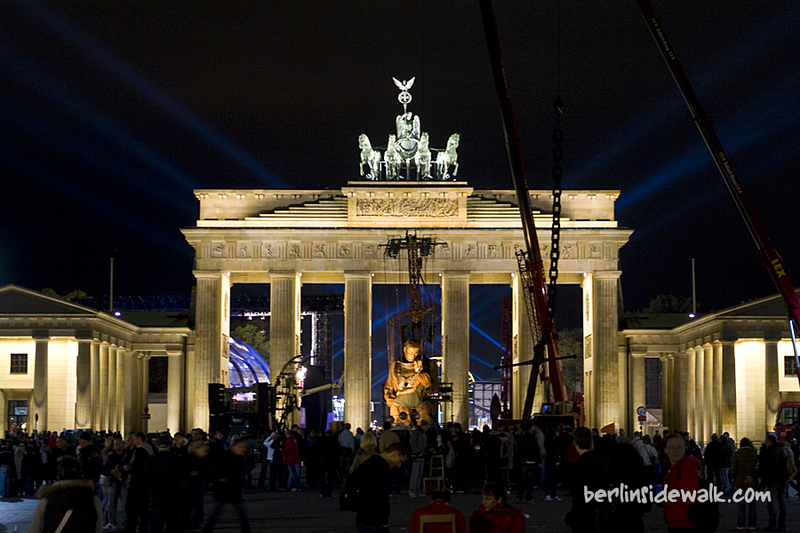 Along with Minister of State for Culture Bernd Neumann, Governing Mayor Klaus Wowereit, his colleague from Nantes Jean-Marc Ayrault and Frédéric Mitterand, French Minister of Culture and Communications, thousands of spectators have celebrated “The Berlin Reunion” at the Brandenburg Gate.